aving earned three stars from The New York Times and a Michelin star while running the kitchen of New York’s Country restaurant, Doug Psaltis is one of the most accomplished, rising star chefs in America today. He has worked with the world’s most lauded chefs and in some of the country’s most prestigious kitchens. Today, he is part of the nationally renowned Lettuce Entertain You Enterprises (LEYE) and serves as Chef Partner of some of the company’s newest ventures – RPM Italian – in conjunction with celebrity couple Bill and Giuliana Rancic, and RJ, Jerrod and Molly Melman, and Bub City, also in partnership with the Melman siblings. Psaltis began his culinary career working in his grandfather’s diner at the age of 10 and eventually landed a job at Panama Hatties, one of Long Island’s most acclaimed restaurants. Having gained an affinity for haute cuisine, Psaltis spent many of his days off staging in Manhattan kitchens, eager to learn as much as possible. He caught the attention of Wayne Nish, Chef/Owner of March restaurant, who offered him a full-time position in the mid-1990’s. Psaltis learned a methodical approach to cooking from Nish, who instructed him to think through the composition of a dish before ever putting a pan to fire. Psaltis next worked with David Bouley to open Bouley Bakery, which earned four-stars from The New York Times in 1999. 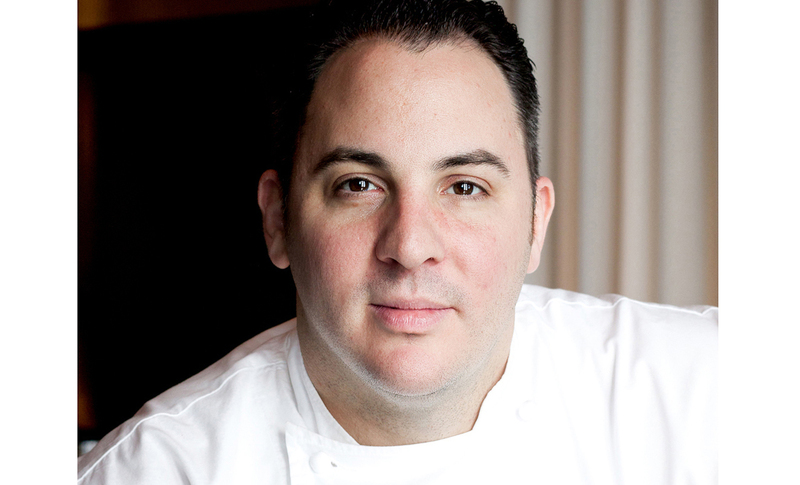 Psaltis was most influenced by his time in the highly demanding kitchen of Alain Ducasse at the Essex House which earned four-stars from The New York Times in 2000. There, Psaltis learned a philosophy and new approach to cooking that he fully embraced. Ducasse imparted on Psaltis the notion that simplicity and integrity of ingredients comes first in cooking. Ingredients should always shine and the recipes should complement their flavors. Psaltis was singled out by Ducasse and offered the opportunity to study at the Chef’s three-star Michelin restaurant in Monaco, Le Louis XV. When Ducasse opened his next New York restaurant Mix, he chose Psaltis as the Chef de Cuisine. It was the first time an American had been given the position in any Ducasse kitchen. After Mix, Psaltis was offered an opportunity to help run Thomas Keller’s highly-acclaimed French Laundry in Napa Valley. After just five months, Psaltis realized that he needed to be back home in New York, where he became executive chef of Country restaurant and received a glowing three-star review from The New York Times as well as a Michelin star in each of the years that Psaltis headed the kitchen (2005-2009). In September 2005, Doubleday Broadway published Psaltis’ memoir The Seasoning of a Chef: My Journey from Diner to Ducasse and Beyond. Written with his twin brother Michael, the book provides an inside look into the restaurant world and relates his journey from his grandfather’s diner to some the country’s most esteemed kitchens. Doug has been a much sought-after consultant to a number of respected restaurants throughout the country, providing his insight in both the front and back of the house and utilizing his experiences working for some of the nation’s most esteemed restaurants. In February 2012, Psaltis opened the much-anticipated RPM Italian, presenting a menu that is Italian in spirit and modern in style. The restaurant, located in Chicago’s vibrant River North neighborhood, offers a variety of house made pastas, hot and cold antipasti, signature cichetti or “small bites”, as well as salads, fish and prime steaks. Shortly thereafter, in December 2012, Psaltis opened country bar and restaurant Bub City, also located in River North, serving up authentic barbeque fare alongside the best of whiskey and country music. Psaltis’ next project is RPM Steak, slated to open in 2013. Psaltis lives in Chicago with his wife and beloved rescue dog, Fletch, and enjoys dining out and traveling when he’s not busy in the kitchen. 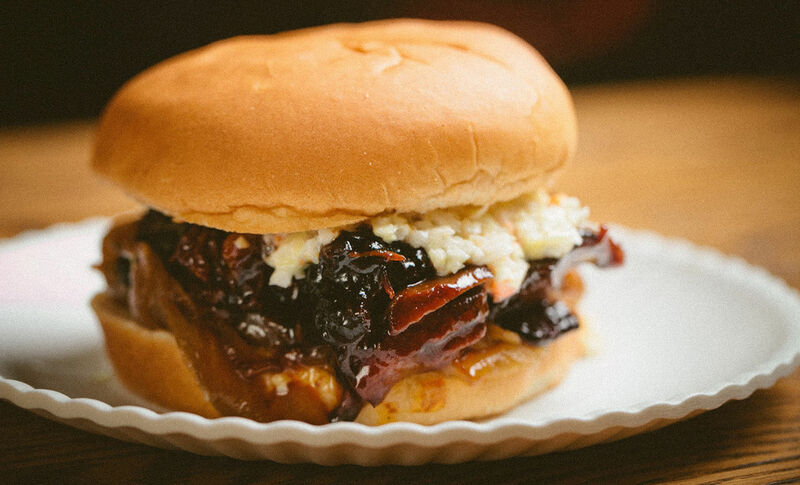 Making smoked, pulled pork at home is easy with this recipe from Chef Doug Psaltis at Bub City. These succulent pulled pork sandwiches are flavor-bombs, and perfect for your next summer get together.